This aggressive machine incorporates the proven Terex MVP450x cone crusher that can accept an all in feed and features direct variable speed clutch drive and hydraulic closed side setting (CSS) adjustment. 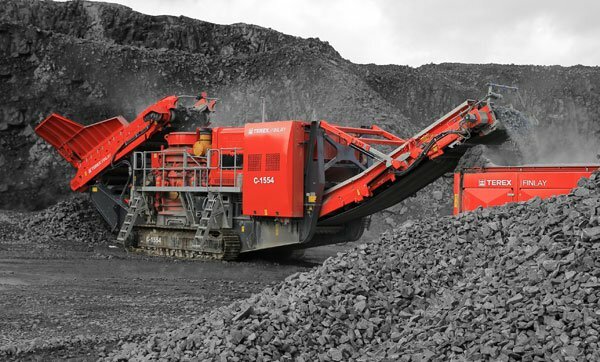 The Terex MVP450x cone crusher simply pulverizes everything that stands in the way of success. Inside and out, the advanced engineering of the MVP cone crusher sets industry benchmarks, featuring a patented Rollercone roller bearing design and the hydropneumatic tramp iron relief system that revolutionized the industry. The large hopper/feeder on the plant features an automated metal detection and a purge system designed to protect the cone and reduce downtime by removing metal contaminants via the purge chute. •	Fully Hydraulic CSS Adjustment with electronic monitoring system ensures ease of operation. •	Fuel efficient direct drive transmission through wet clutch. •	Hydraulic Tramp Relief System with automatic reset protects the chamber and minimises downtime.